In May 2004, the European Union underwent its single largest expansion to date. The “A10 countries”, consisting of Cyprus, the Czech Republic, Estonia, Hungary, Latvia, Lithuania, Malta, Poland, Slovakia and Slovenia all became part of EU and all its institutions, including the Customs Union and Single Market. The addition of these countries to the Single Market and Customs Union was supposed to boost trade between existing member states and these countries, bringing greater prosperity. The A10 countries were fast growing areas of Europe, and their inclusion into the EU’s Single Market structure would, in theory, allow the existing member states to access their markets and boost their own exports. However is there any evidence that this has actually happened? 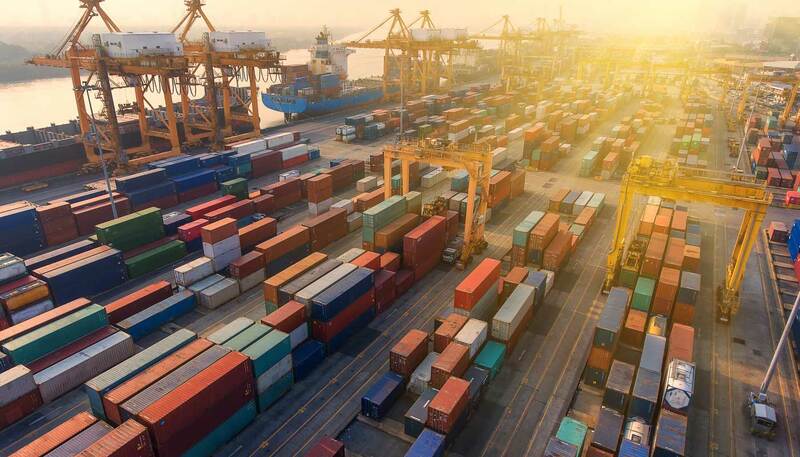 All the data used in this article is from the UN’s global trade database, Comtrade, and looks at the eleven years before the A10 countries acceded to the EU (1993 – 2004), whilst comparing it with the eleven years after (2004 – 2015). On average, the rate of annual growth of UK exports to almost all A10 countries has fallen since those countries have joined the Customs Union. The standout exception is Poland, which before its EU Accession saw the UK see an average annual growth of exports to that country of $138m per year, but since joining the Customs Union has seen this increase to almost $270m per year. The UK has also exported marginally more per year to Latvia. However, all other nations have seen marked decreases in UK growth of goods exports. The theory that a customs union should boost export volumes is clearly not working as well as pro-EU economists would have us believe. But exports is only one side of the equation. The idea of the EU Customs Union is that goods imports, as well as exports, should become easier to conduct due to less trade friction, and therefore volumes should be expected to increase at a greater rate after EU accession than before. Immediately it is noticeable that UK import volumes have benefitted more than UK export volumes. Since joining the Customs Union, the average rate of annual growth of imports to the UK from Czechia, Lithuania, Poland and Slovakia have all increased. However in Cyprus, Estonia, Latvia and Malta, the amount of imports have reduced, despite the “frictionless trade” that the customs union is meant to provide. In 1993, the UK was more or less in balance with all the A10 nations. However since the A10 countries joined the customs union, huge trade deficits in goods have opened up with Poland, Czechia, Hungary and Slovakia. The UK has not managed to open up a substantial trade surplus meanwhile with any of the other accession states. Comparing the trade volume data of the A10 nations before and after customs union membership does not show any meaningful benefit to UK exporters that were not present before the A10 nations acceded. From 1993 – 2004, the UK increased the value of its exported goods by $5.84bn to all the A10 countries. From 2004 – 2015, it only managed to increase exports by $5.29bn, a remarkable $0.55bn less than the previous eleven year period, even though the Customs Union was supposed to provide “frictionless trade”. Imports show a different story, however. From 1993 – 2004, the UK increased imported goods by $9.93bn from the A10 nations. From 2004 – 2015 the rate had more than doubled to $18.16bn. Although the Customs Union was supposed to encourage “frictionless” trade that would boost exports and thereby prosperity, the data shows that this hasn’t happened. Instead it shows that the UK has become a captive market for EU producers, with exports stalling whilst imports continue to rise. The data shows that the UK average annual trading deficit with the A10 nations from 1993 – 2004 was ~$0.37bn. During the period 2004 – 2015 under the EU Customs Union, this average annual trade deficit skyrocketed to $1.17bn. This is evidence that the Customs Union environment has created a chronic trading deficit for the UK, damaging domestic business. Such data confirms that UK exporters have nothing to fear from the UK rejoining the rest of the world outside the Customs Union and Single Market, and conducting its own independent trade policy on its own terms.